Take a good hard look at these ladies in the picture below. These women, Norden in the blue costume of Sweden(Swe) and Spirig in the red Swiss costume (Sui), are about to do something that is going to leave you shocked and a facial expression of the letter ‘O’. You won’t believe how these women finished their Triathlon. 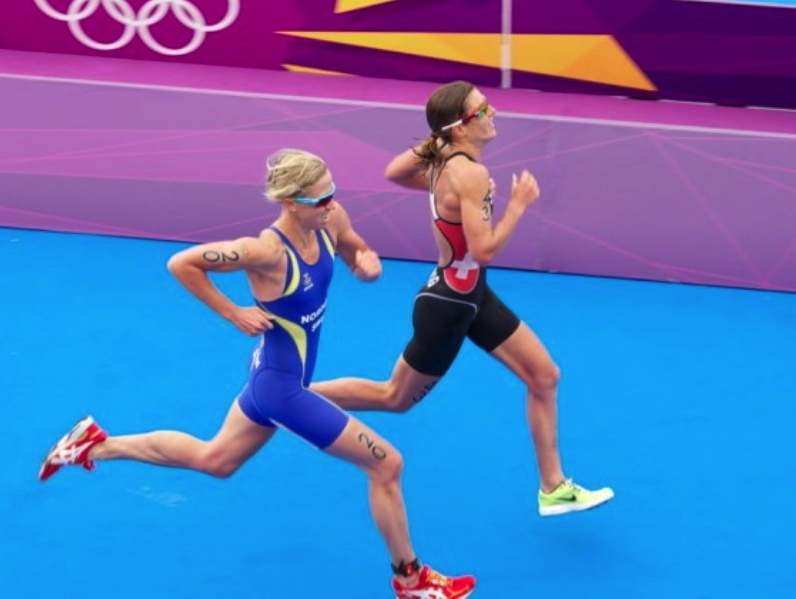 The whole of Triathlon saw these two athletes being at mere one hand's distance from one another. In the phase of Hyde park's 1500 meter swim, these two had a distance of mere 7 seconds between them. They were to able to close the gap of 7 seconds and finished virtually together in the 6KM bike course of the Triathlon. The story continued to produce the exact same result in the end, as it did in the case of the bike course. If you don’t believe in the writings then allow us to present you with the video evidence along with the answer to the trivial question. Who among them really won the race? Impossible is nothing and this story certainly, proves that. Anything can happen in the world of sports and that’s what makes it so exciting.